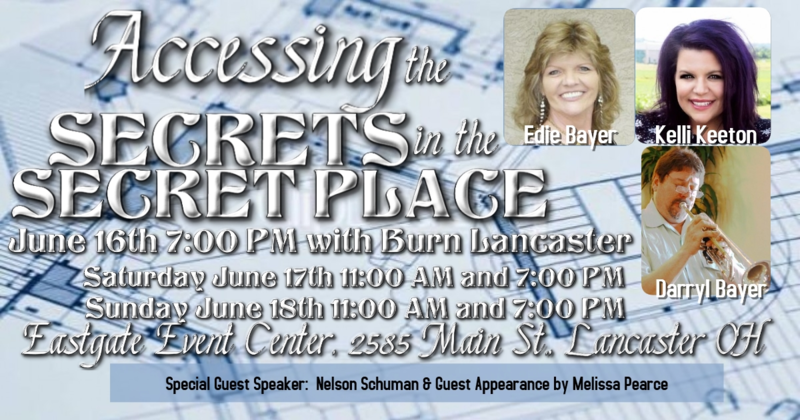 Join well-known author (as seen on the Elijah List, Spirit Fuel and TBN) and prophet Edie Bayer and Kelli Keeton (as seen on Elijah List) in Lancaster along with Lancaster BURN 24/7 for a weekend of Intimacy with the Father, as we learn how to Access His Secrets in His Secret Place! Guest speakers include Jo Ellen Stevens, Nelson Schuman and Darryl Bayer. Special Guest appearance by Melissa Pearce.